Flowers of War is a collaborative enamel artwork created by artists Kirsten Haydon, Elizabeth Turrell and Neal Haslem. 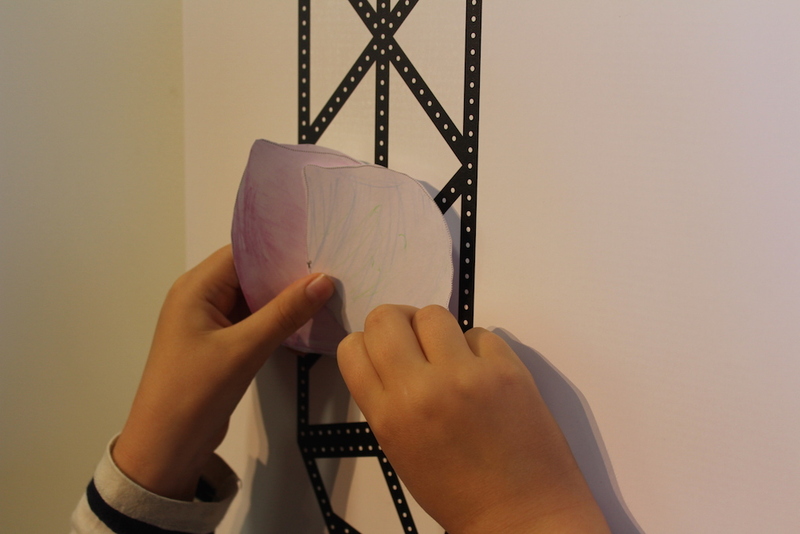 The project was first exhibited at the Canterbury Museum in Christchurch, New Zealand in 2017 and at the Royal West of England Academy (RWA) in Bristol, UK in March 2018. The project will be exhibited for the first time in Australia at The Shrine of Remembrance in Melbourne, Australia commencing in late October 2018. A collaborative work, Flowers of War is inspired by World War One stories and artefacts gathered from local communities, museums and archives. It considers the many ways people reflect upon the past. Email info@flowersofwar.org for further information and to register your interest. This project is supported by the WW1 Co-Commissioning fund Creative New Zealand. Flowers of War is an intricately layered and connected artwork drawing on stories of World War One from local communities archives and museums. 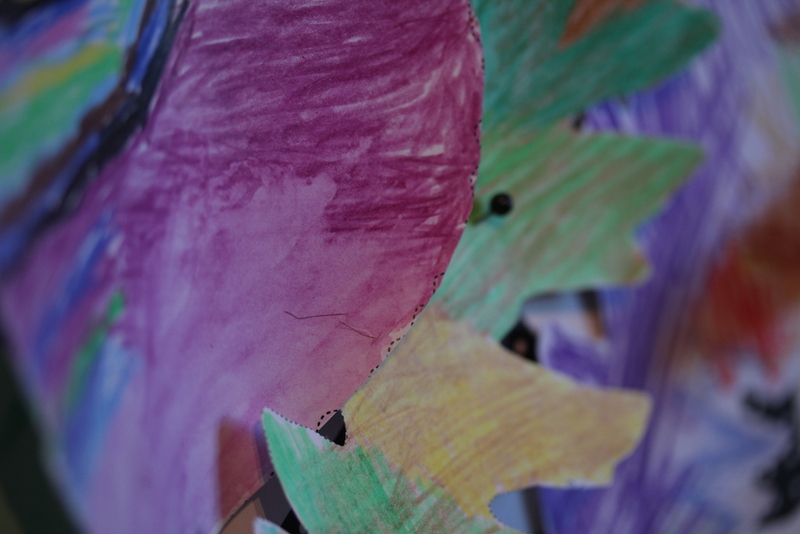 Personal historical narratives inspire the creation of individual leaf and flowers forms. Each element of the work is an enamelled wearable brooch, either a leaf or a flower associated with sites of the Great War or memories of the home front. The objects adorn a large steel wreath to illustrate the emotions and spirit the organic forms embody. In conjunction with the final exhibition, objects are linked to historical narratives and connected to stories and artefacts recorded online or displayed in museum collections. The wreath is a work in progress. People can contribute to the wreath by uploading images of artefacts and memories to an existing World War One website and sending the link to the artists. Flowers of War is an iterative work which will be exhibited for the first time in Australia at the Shrine of Remembrance in Melbourne commencing in late October 2018. Prior to this, the work was exhibited at the Royal West of England Academy in Bristol, UK and in 2017 at Canterbury Museum in Christchurch, New Zealand. Each flower or leaf form will have its own unique story and imagery. Collected together on a structure there is a recurrence of familiar forms but as a collection, the united images and stories become woven together to form a two-metre diameter wreath. The final work is a contemporary interpretation of the function of the ceremonial wreath; it is a recollection of fragmented memories of the past that can evoke remembrance. The Flowers of War combines media to provide a powerful and moving commemoration of individual stories. These international stories are woven together to form a singular art work, digital artist book and website. Taken as a whole these objects tell a story of individual memory alongside collective experience and the community of commemoration. The collaborating artists will curate source material for this project in an online reference website. The website consists of individual web pages, one for each piece, that provides source material through links to existing international archives. Once a work is made the image of the final enamel brooch will be added to each page. The website is not a primary archive but a research tool that brings together the personal histories and artefacts which the artists will interpret in order to make each brooch for the wreath. 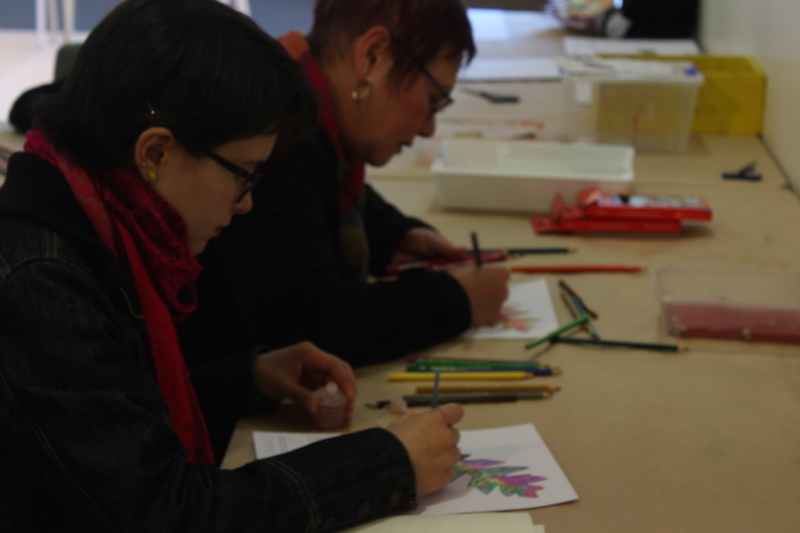 The artists will design and produce flower and leaf forms that reference the collated online material. They will select elements from the material provided, such as personal objects, letters, photographs or ephemera to incorporate into each enamel flower or leaf forms. The artists have collected various botanical forms that reference the sites of World War One and home. The online reference website allows the artists to access the material collated to make photo transfers or negatives for photo-etching and transferring imagery onto metal or enamel. The sheet metal is cut, filed, etched, formed and joined in some cases and then enamelled to create individual three-dimensional flower and leaf forms. The artists enamel the surfaces on each piece to fuse the source material and achieve unique material qualities. 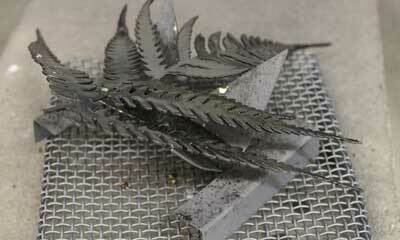 Each completed piece takes the form of a brooch that will be attached into position on the wreath form. The photograph of the brooch will be included on the website to allow the final pieces to be linked back to the source material used to make them. In this way, each piece will connect back to the individual story and its transformation into an enamelled brooch. A selection of these works will also be used to create a number of full-colour printed plates for exhibiting with the wreath form. The online material and the enamel flower and leaf forms will be drawn together to form the contents of a digital artist book. Photographs, letters or items of ephemera connecting to personal histories of war will be referenced by the artists to inspire the creation of the artworks. Personal histories and stories are interpreted to produce a unique metal and enamel brooch in the form of a wildflower or leaf. The brooches reference international botanical forms collected from France, NZ, Australia, and the UK. In addition to this, the artists draw on object-related material available in public archives and museums online. The wreath is exhibited as a work in progress allowing people to view the unfinished wreath and imagine how they might contribute to its completion. 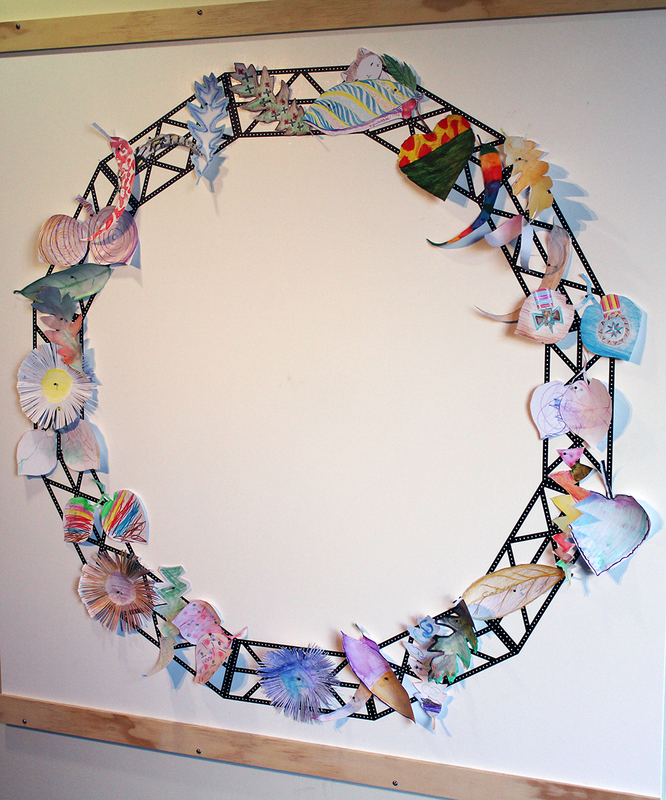 The ‘wreath in progress’ illustrates openness and encourages participation through the contribution of source material from local communities in New Zealand, Australia and the United Kingdom. 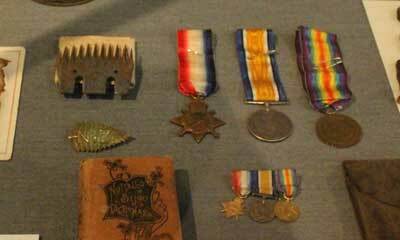 A participant can upload their artefacts and memories to one of the existing World War One archives available around the world. This link can then be provided to the artists and added to the Flowers of War archive. 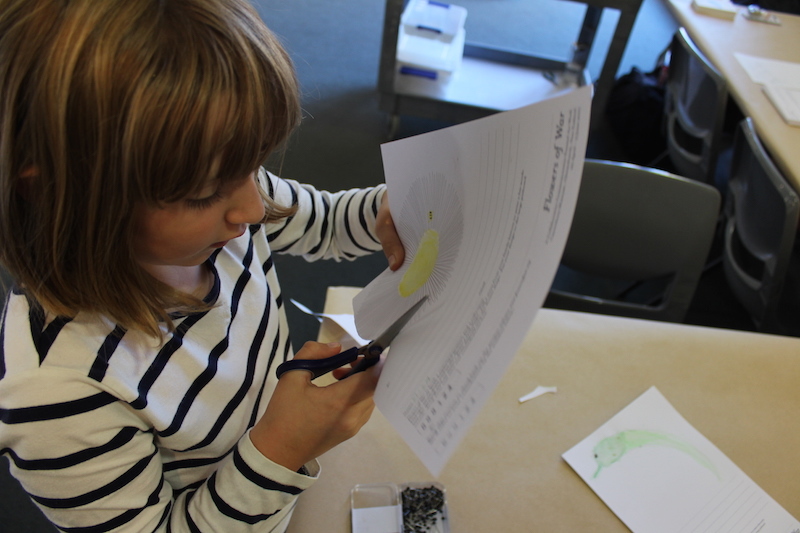 Artists will then interpret collected artefacts and stories to create individual brooches. Next, send the link to your submission to the Flowers of War project at participate@flowersofwar.org. When Flowers of War is exhibited people viewing the work have the opportunity to create their own flower or leaf form and contribute to a paper wreath. The paper wreath is built daily while the artists are with the exhibition. 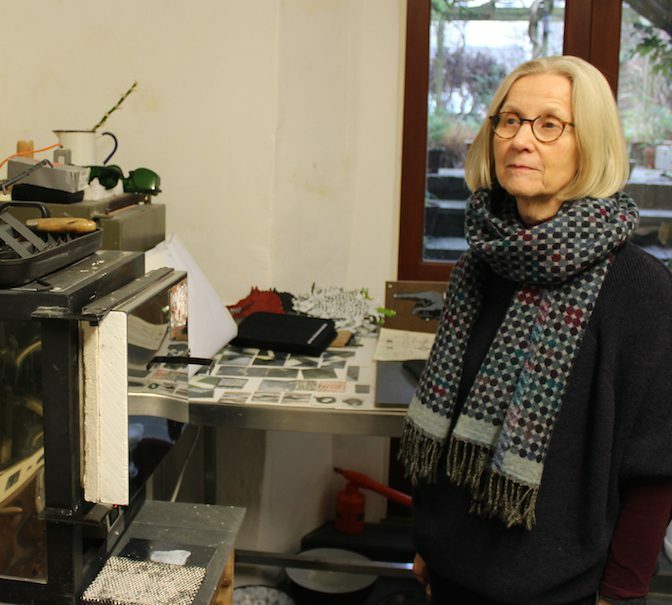 Kirsten Haydon is a Gold and Silversmith and has exhibited widely since 1998 including the significant solo exhibitions: Poppy’s Poppies 2000, in the drawer (2002-2004) and her later Antarctic series: Room with a View (2006), Ice Terrane (2009), Ice Records, Ice Mosaic (2012) and Ice Storeroom (2014). Receiving numerous grants and awards including a New Zealand Antarctic Arts Fellowship, Thomas Gold Award, Creative New Zealand grant for travel to Schmuck in Munich, Germany and an Australia Council for the Arts, New Work grant. Kirsten Haydon was born in Auckland, New Zealand in 1973. From 1993-1994 she studied jewellery design at Manukau Institute of Technology, Auckland, before moving to Melbourne to study at RMIT University in 1996. 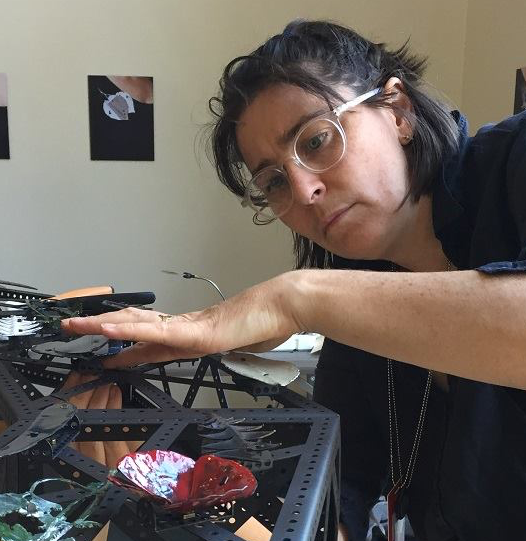 She completed a Bachelor of Fine Arts in Gold and Silversmithing in 1999 followed by a Masters by research in 2002 and a Doctor of Philosophy in 2009 and is Studio Leader of RMIT Gold and Silversmithing. Her work is collected in international public collections including Musée des Arts Décoratifs, Paris, Ville de Cagnes, France, Antarctica New Zealand, Christchurch, Te Papa Tongarewa Museum of New Zealand, The Dowse, Wellington and the National Gallery of Victoria in Melbourne. Elizabeth Turrell was a founding member of the British Society of Enamellers and exhibits nationally and internationally. Elizabeth is a leading enamel educator and has lectured and led workshops in the UK, USA, Europe, Australia, Taiwan and India. In 2012 Elizabeth was the Cultural visitor to Indian Center of Cultural Relations, Jindal SW Foundation and Enamel. Her enamel work is collected in international and public museums including Musée de l’Eveché, Limoges, France, National Museum of Scotland, Edinburgh, City of Freeland Museum, Czech Republic, British Museum, London and the Goldsmith and Enamel Museum, Lithuania. In 2007 Elizabeth was elected an Academician of the Royal West of England Academy. She is a visiting lecturer at Edinburgh College of Art and West Dean College in West Sussex. Curator of a section in Back from the Front a World War I 100 Exhibition in the United Kingdom at the Royal West Academy Bristol in 2014. Elizabeth Turrell trained at the Central School of Art & Design, London, and received an Arts & Humanities Research Council Fellowship in Vitreous Enamel Research at the University of the West of England in 2000, later becoming a Senior Research Fellow establishing the Enamel Research Studio (2003-2011). Dr Neal Haslem is a communication designer, design educator and a practice-led researcher into communication design. 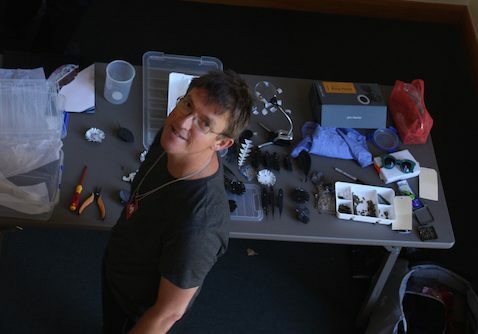 Neal is Associate Dean of the Communication Design discipline at RMIT University in Melbourne, Australia. He has a background in design studios and advertising agencies working across a wide range of projects including traditional graphic design, exhibition and interactive design. He has been involved in design education since 2000, commencing his Masters by Research with RMIT in 2004 and following this with his PhD, completed in 2010. Neal has been a full-time lecturer with RMIT since 2011, teaching into the Graduate Diploma, the Master of Design and the Bachelor of Design (Communication Design). From 2014-2017 Neal was Program Manager of the undergraduate program. 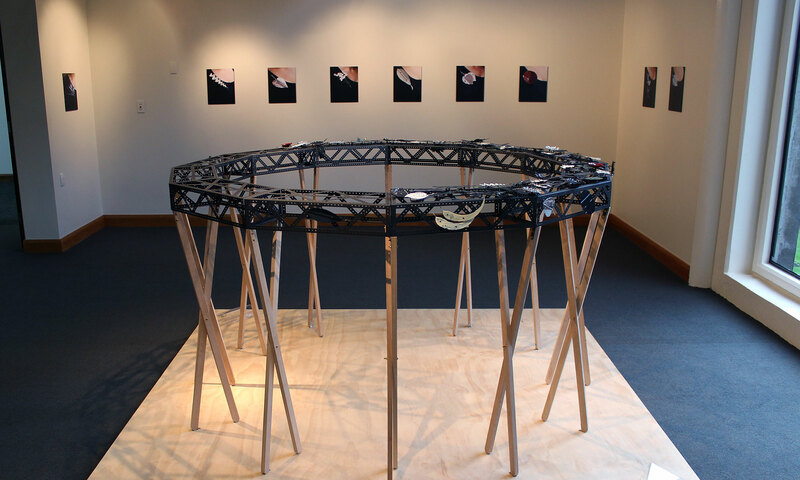 Neal’s research lies in the intersection of design practice and the community and the intersubjective action with which design reveals and actualises possible futures. Most recently his projects include the experiment design action group PPPPP, Homefullness; an international interdisciplinary project tackling the intractable problems of housing stress and homelessness through art and design action and Flowers of War; a collaborative commemorative artwork involving public participation, exhibited in New Zealand, United Kingdom and Australia. Neal is a founding member of the Communication Design Educators Network.